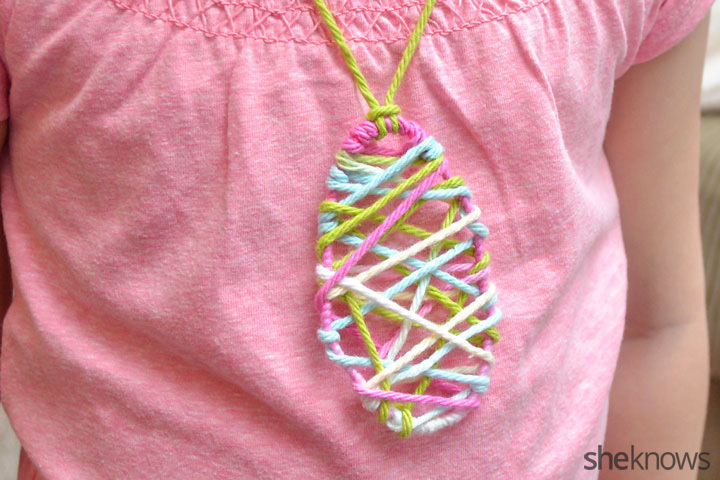 This simple string art necklace is a fun and cheery accessory for any Easter outfit. It’s also the perfect size to hide in an egg for this year’s Easter egg hunt. 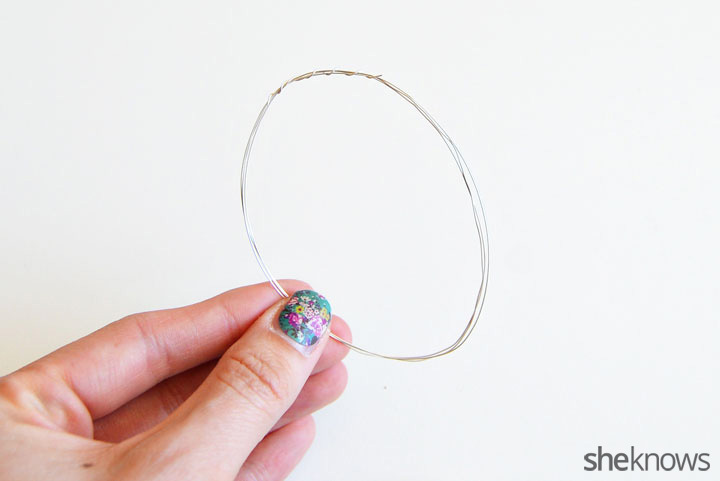 Wrap the wire a few times around the outside of the cookie cutter. 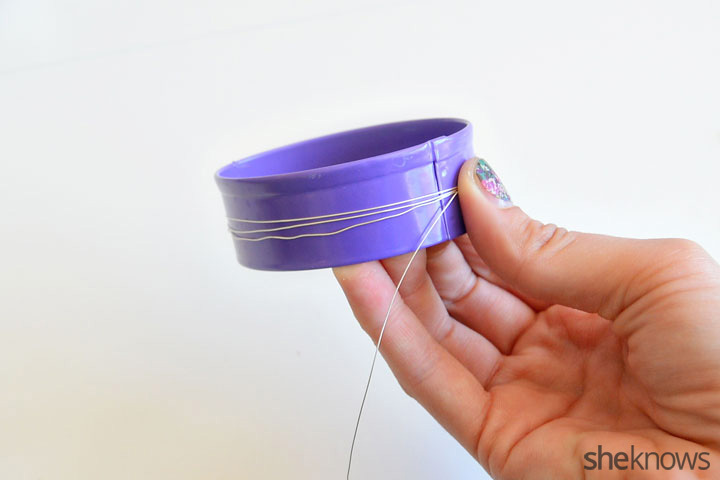 Wrap the ends of the wire around the egg shape to hold it all together. 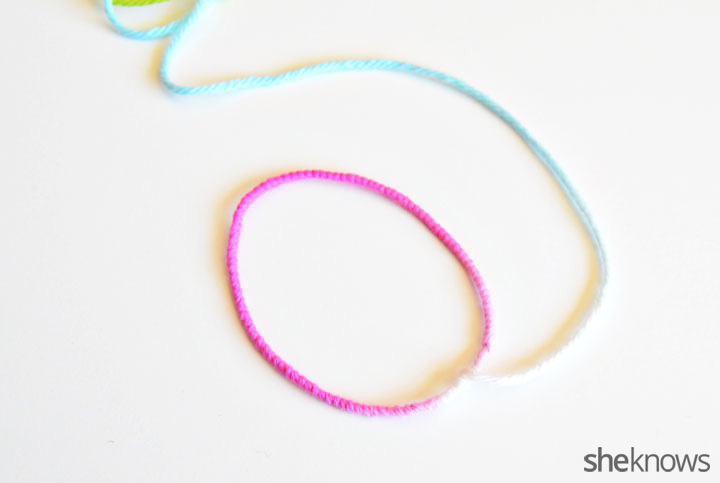 Start wrapping the yarn tightly around the wire. 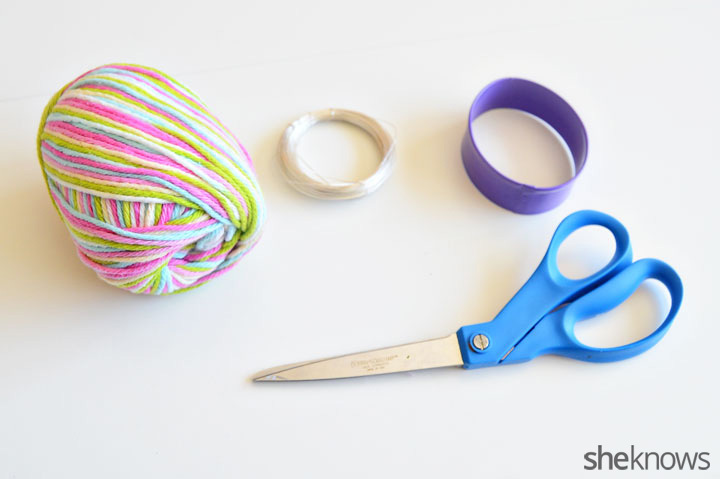 Keep wrapping the yarn until you have covered all of the wire. 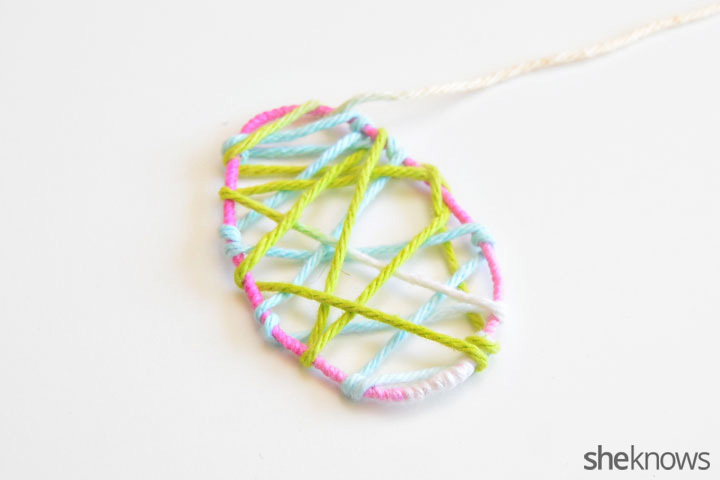 Start criss-crossing the string back and forth across the egg. Tie the ribbon off (or use a dab of glue to keep it in place). 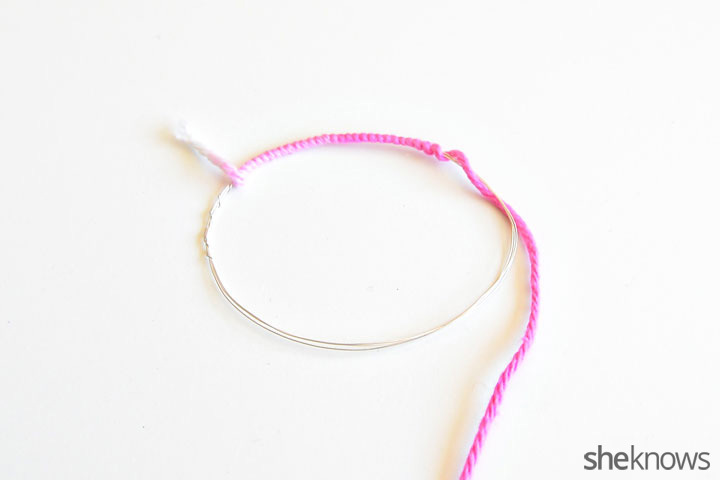 Then cut a long piece of string to make the necklace. 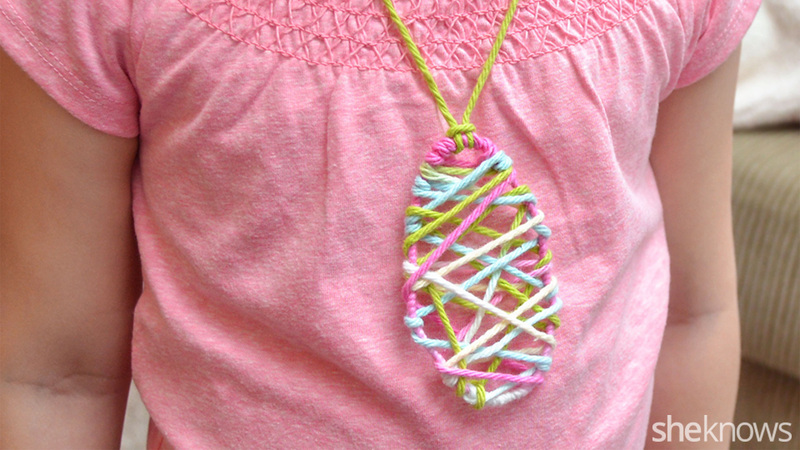 Knot it around the top of the egg and then tie a knot in the two loose ends of the string to make the necklace.